Enjoy the top 2 famous quotes, sayings and quotations by Ben Stewart. 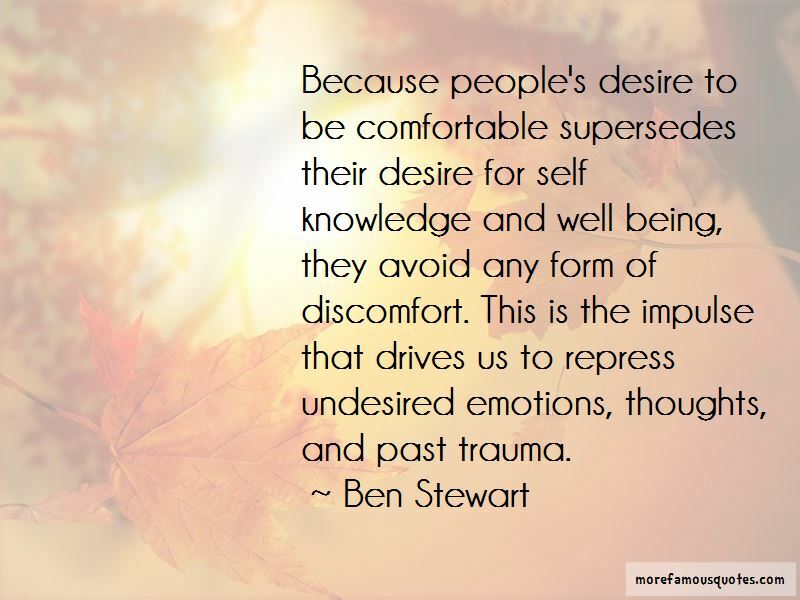 Because people's desire to be comfortable supersedes their desire for self knowledge and well being, they avoid any form of discomfort. This is the impulse that drives us to repress undesired emotions, thoughts, and past trauma. 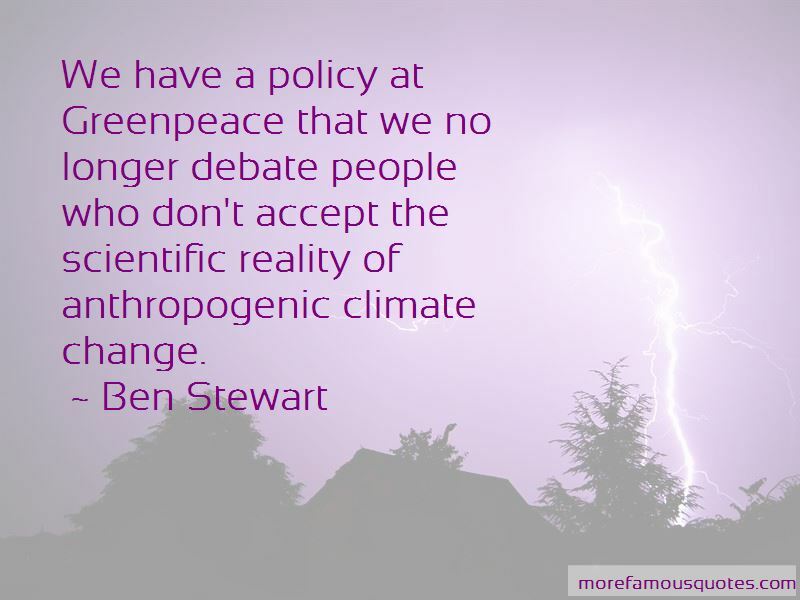 We have a policy at Greenpeace that we no longer debate people who don't accept the scientific reality of anthropogenic climate change. Want to see more pictures of Ben Stewart quotes? Click on image of Ben Stewart quotes to view full size.